Software design was originally based on industrial/print design practices largely due to the need to “manufacture” software in order to distribute it. We had to “figure it out” and “get it right” prior to distribution. The manufacturing process made it difficult to react to customer feedback. New specialties and methodologies have emerged in the last 10-15 years but the overall process has remain largely unchanged. We still have product managers doing discovery before design, design working ahead of development, and development turning testing over to a separate QA team. Overall timelines have sped up, and development has improved somewhat with Agile/Scrum but the overall process from start to finish is much the same as it has been for 30 years. • Internet allows for rapid distribution. • Teams can learn continuously and quickly how well their products are meeting customer needs. • Barriers to entry are lower than ever. FACED WITH THESE NEW THREATS, TRADITIONAL ‘GET IT ALL FIGURED OUT FIRST’ APPROACHES ARE SIMPLY NOT WORKABLE. IT’S TIME FOR A CHANGE! 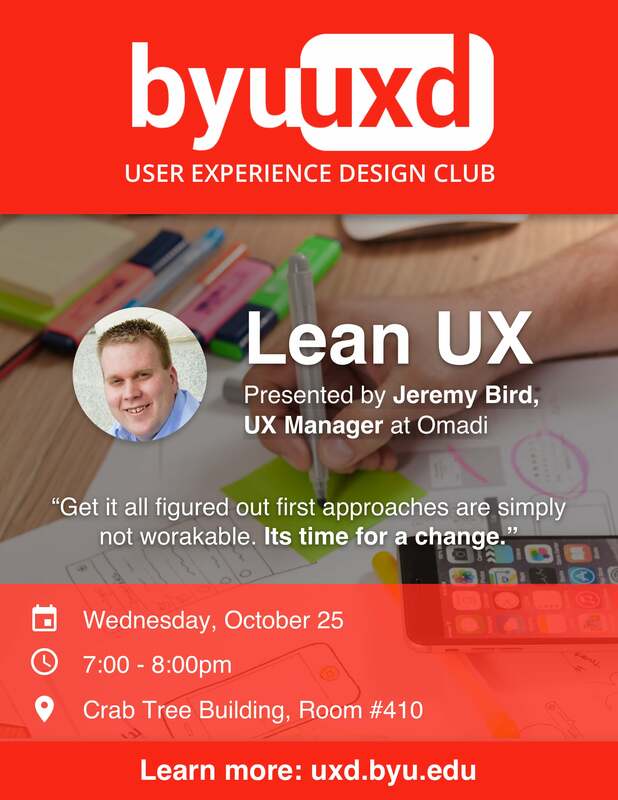 THAT CHANGE IS “LEAN UX”. It was very interesting! Thank you!